The C. F. Orr Stakes is the first Group 1 race of the year and it will attract a strong field to Caulfield on February 9. It is a weight-for-age contest run over 1400m and it can yield winners from either end of the weight scale. Specialist sprinters have a strong track record here, but it is also contested by middle distance runners and stayers en route to further Group 1 races. Some stayers resuming after the Spring Carnival have emerged triumphant in this race, along with youngsters starting the three-year-old preparation, so it always provides an intriguing mix. This Group 1 race is named after Charles F. Orr, a former chairman and secretary of the now-defunct Williamstown Racing Club, where it was first held in 1925. That year The Night Patrol stormed to victory with a dominant performance. It moved to Moonee Valley Racecourse in 1941 and it moved around between there, Flemington, Caulfield and Sandown before gaining a permanent home at Caulfield in 1997. 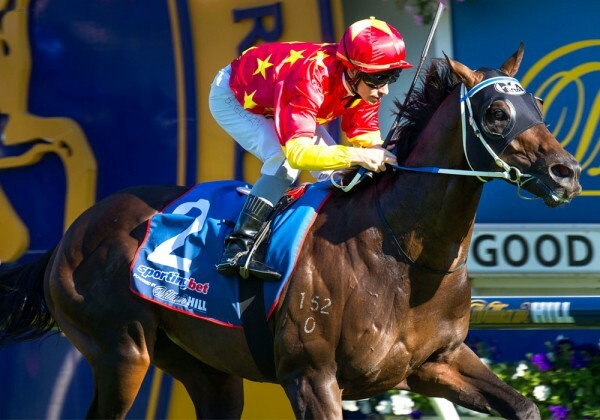 It has seen all manner of notable winners, including Heroic, Gothic, High Caste, Rising Fast, Lord, Leilani, Hyperno, El Segundo, Typhoon Tracy and the legendary Black Caviar. Manikato and Vo Rogue each won it on three separate occasions, making them the most successful runners in the race’s long and distinguished history. In 2017, Black Heart Bart won the C. F. Orr Stakes to announce himself as a superstar. Last year, fans witnessed a thrilling contest as several well-fancied runners were in with a shout as they turned into the stretch. But seven-year-old Authorized emerged from midfield, took the lead in the dying seconds and held off a late rally from Single Gaze. Brave Smash was a nose away in third. All the talk in the aftermath of the race was about Hartnell having another crack at the wondermare Winx. He had finished second to her on no fewer than four occasions, but many commentators speculated that he could finally vanquish her after such a strong showing in the C. F. Orr Stakes. Godolphin trainer James Cummings, grandson of the legendary Bart, said: “My grandfather taught me to never stop learning and never stop experimenting. Off the back of that I experimented, winning a race with him [Hartnell] first-up last preparation and he’s been able to do it again today.” Yet Hartnell has never gone up against Winx again and his fortunes have been mixed ever since. One trainer to look out for is Peter Moody, who has secured a remarkable five victories in this race since 2010. He saddled Typhoon Tracy, who won it in 2010 and successfully defended her crown in 2011, and he also trained 2012 winner Black Caviar, plus Moment of Change and Dissident, who won it in 2014 and 2015 respectively. Specialist sprinters with decent residual fitness are often attractive betting prospects, ahead of resuming runners that will move on to races with further ground. Five of the last 10 winners have been first-up. 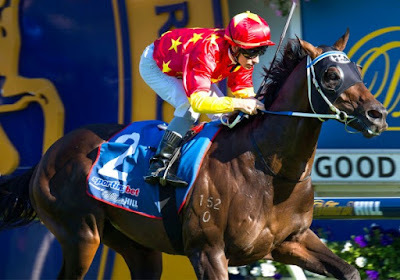 The most successful lead-up is the 1200m Australia Stakes, the first significant weight-for-age race of the year. Champion trainer Darren Weir saddled four of the 10 runners at this year’s Australia Stakes and one of his candidates, Whispering Brook, took the top prize. Weir is now considering whether he should take her to the C. F. Orr Stakes, but either way he is sure to have a strong hand for this race. Mares have done well in this race of late, as Suavito and Perfect Promise have both tasted success, along with the aforementioned Typhoon Tracy. Barrier 1 is the most successful, yielding seven winners since 1983. Barriers 4 and 5 have each had six winners, while 7 has seen four winners. The least successful barriers are 3, 8, 9 and 15, which have each yielded just one winner in the past 35 years. The favourite has triumphed in seven of the past eight years, which is certainly worth bearing in mind. If you check out top Australian horse racing futures here, you will note that the early favourite for this year’s C. F. Orr Stakes is Land Of Plenty, another runner from the Weir stable. He could only finish third in the Australia Stakes, but Weir predicted that Whispering Brook would have the edge on him before the race, because she had more runs under her belt. Land of Plenty is seen as one of the big movers this year and he should improve with every race, so it is unsurprising to see him heading the betting for the C. F. Orr Stakes. Hartnell is considered a long shot for this year’s race, but he could spark some each-way interest. Kementari, Alizee, Grunt, Brave Smash, Fifty Stars, Pierata and Voodoo Lad are all in the mix in the early betting lines, highlighting the level of quality that should be on show on February 9. It marks the start of the Victoria Autumn Carnival and it should provide exhilarating entertainment to get proceedings underway. Be sure to keep checking the odds over the coming days, as they are likely to shift about, but right now Land Of Plenty looks pretty formidable.